DiveLogs - Mediterranean Fish ID Card. A fish ID card/slate for the Mediterranean. Printed onto a tough but very flexible plastic, these are totally waterproof. With over 60 high quality images of the most common fish. 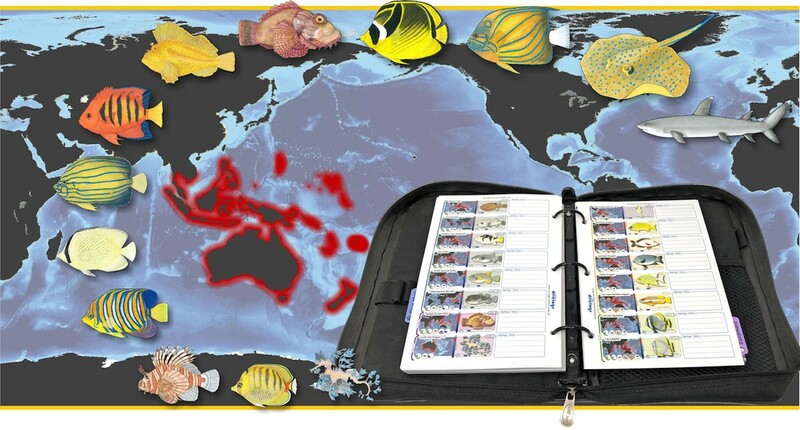 This is a high quality fish Identification card for the Mediterranean Sea. Printed onto a plastic core, these cards are totally waterproof and more robust than paper laminated versions. The card comes with a hole for a lanyard (take a look at our Magna-Clip coil lanyard if you don't have one). The card is printed on both sides with over 60 high quality images of the most common species to be found in this area. It measures 15.2cm (6 inches) in width by 22.9cm (9 inches) high.